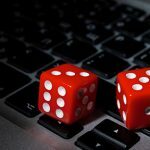 New Zealand has unveiled its plans to prevent international online gambling sites from offering their superior services to local punters. A year ago, Racing Minister Nathan Guy said his “number one priority” was finding a way to boost revenue for the New Zealand Racing Board’s TAB online betting site. 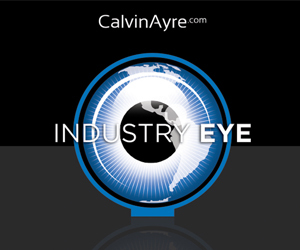 In April, Guy announced the formation of an Offshore Betting Working Group to prepare a report on how to cut off the flow of funds to international online gambling sites. The Working Group estimates that international gambling sites earn about $58m in revenue per year from New Zealand bettors, up from $32m in 2010. 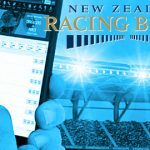 Over that same span, the number of Kiwis betting with international sites has basically doubled to 40k and could double again by 2020, representing about one-quarter of the TAB’s customer base. The Working Group says Kiwi punters choose to bet with international sites because the sites offer “a broader range of products, and a greater service mix and pricing of products” than the local TAB. The report cites a single match in the State of Origin rugby competition for which the TAB offered a total of 45 betting options compared to 203 on Australian online betting operator Centrebet (part of William Hill Australia). The TAB has often complained that international operators lure punters through better pricing, which the TAB blamed on the fact that international operators aren’t forced to subsidize local racing bodies. But the report says just 13% of bettors choose international sites for price reasons, while one-third said they switched because of a wider range of betting options. 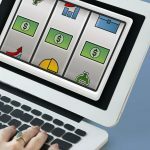 The report slams the TAB’s “dated technology platform,” which still uses manual processes and systems to manage fixed-odds betting. Though the report doesn’t say so in so many words, the TAB’s dated technology is still in use primarily because, as a monopoly, it never really faced competitive pressure to upgrade. Until recently, that is. Refreshingly, Guy told the NZRB’s members that simply blocking access to international online gambling domains is an ineffective remedy, as “anyone who can use Google can find a way to get around this measure fairly easily.” Payment-blocking was deemed similarly insufficient, although both options could be employed if the government gets desperate. Guy said the Working Group believed amending the Racing Act 2003 to permit the TAB to offer “a broader and more competitive range of betting products” would do more to convince Kiwi punters to bet within their borders. 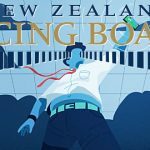 But the Working Group also recommended that the government introduce legislation that would impose an Offshore Bookmaker Fee that would apply to (a) wagers placed by Kiwis with international online operators and (b) betting markets bookmakers offer on New Zealand racing and sporting events. The Group proposed a rate of between 2% and 3% of turnover, which it believes could generate $16.6m per year for the government. The Working Group’s other areas of study – lifting the ban on in-race betting, expanding the types of sports on which wagering is offered and prop bets – will be dealt with separately. Guy said he expects to report these recommendations to Cabinet sometime in early 2016.